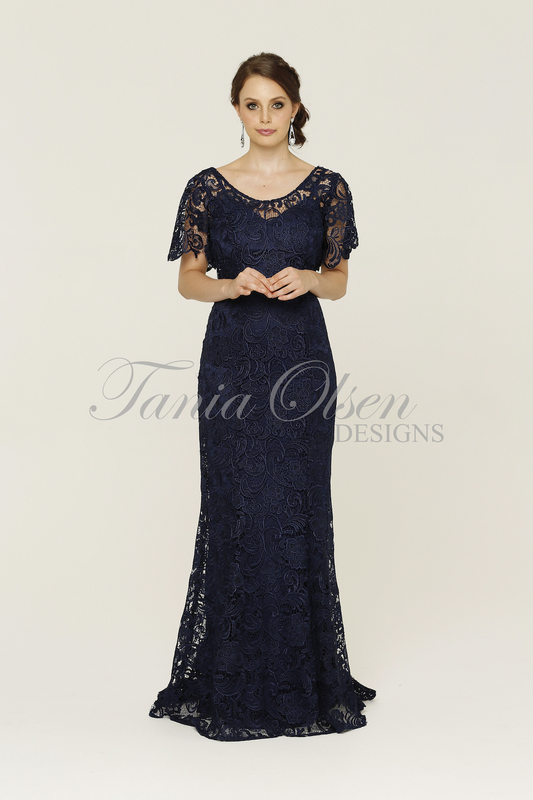 Enjoy the decorative lace elegance of the Nadia lace Formal Dress with sleeves . With its pretty sleeves and V-shaped backline, it is a gown of classic beauty. 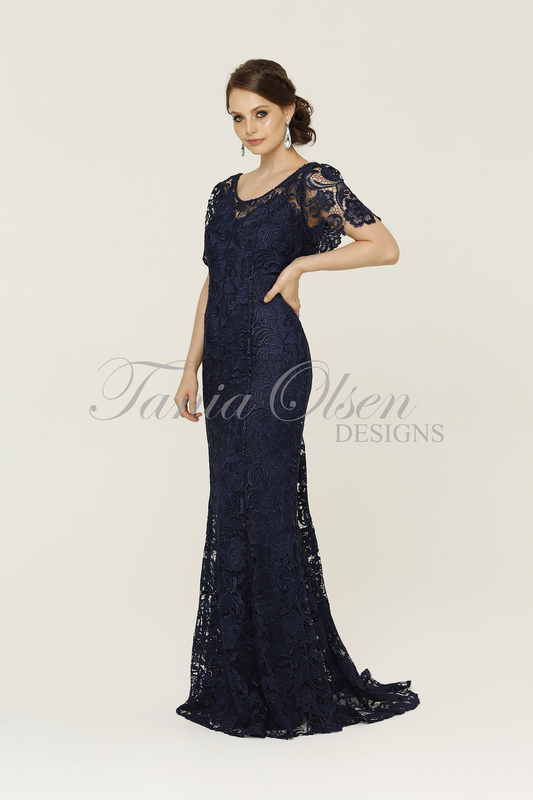 Turn heads in the romantic Nadia lace Formal Dress with sleeves . Designed in our Australian studios, the Nadia features a decorative lace overlay, low V-shaped backline, and scalloped sleeves. Comes in three colours, navy, vintage white, and red. Pair with strapy heels and a bold lip for a refined evening look.